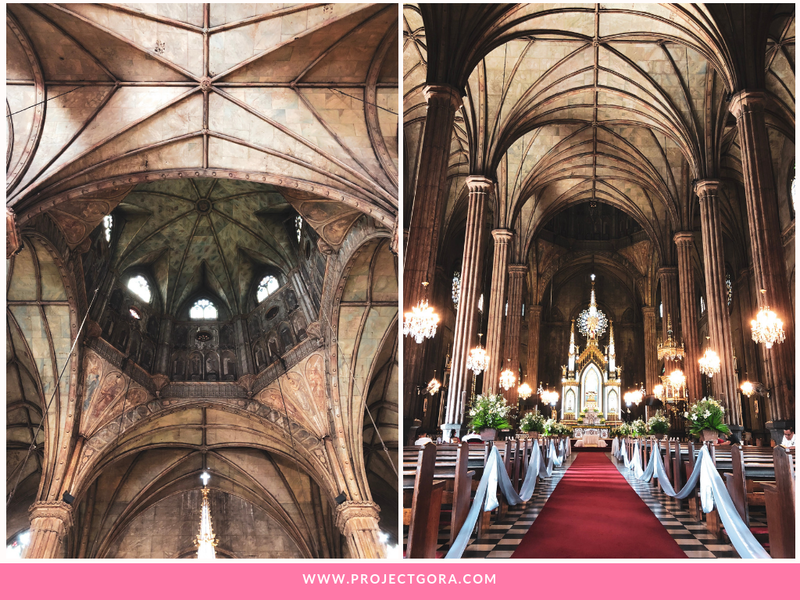 This might not be the most popular opinion about Quiapo, but I think this chaotic and gritty district of Manila is a photographer’s paradise. 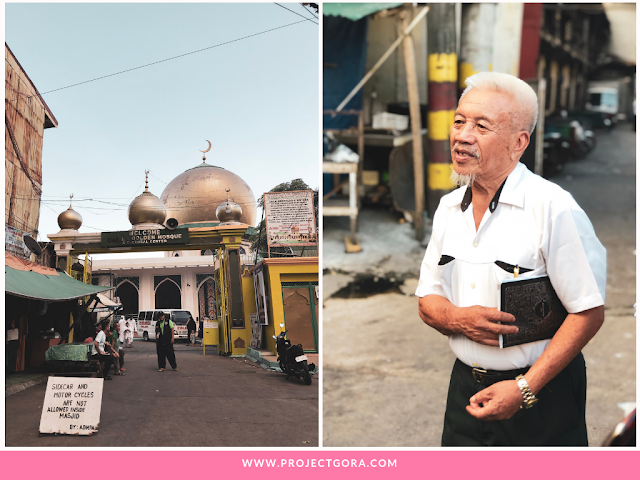 Not because of the photography stores and services you will find in Hidalgo Street, but because everything you see on your camera’s viewfinder tells a story. Yes it is dirty and overcrowded, but Quiapo is a bustling district with so many fascinating things that you won't find elsewhere. Nice to finally meet you Aleah of Solitary Wanderer and Ferdz of Ironwulf! 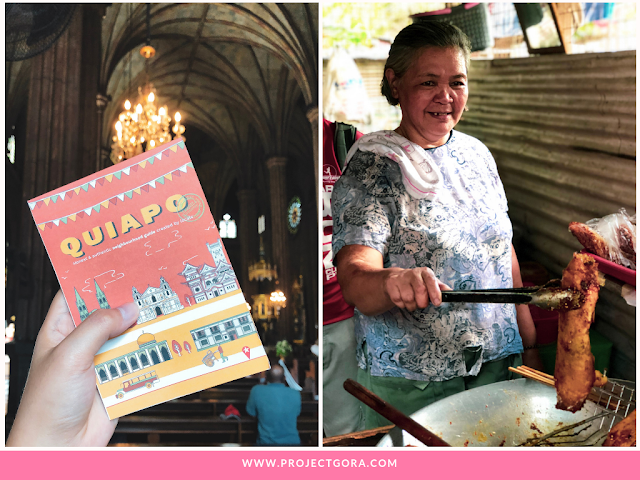 i-Discover App&Map Quiapo is a partnership with San Sebastian Basilica Conservation Foundation and Kapitbahayan sa Kalye Bautista (KKB), which aims to promote cultural heritage and respect for diversity. This mobile app mapped out the vibrant and chaotic streets of Quaipo with the help of locals who know the neighborhood for years. 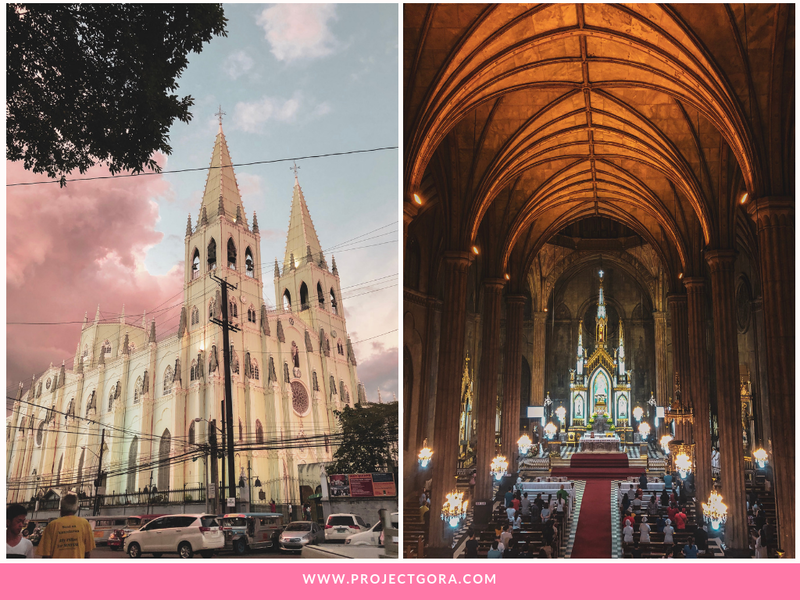 If you are planning to do a self-guided tour of Manila, then this honest and authentic guide is perfect for you. 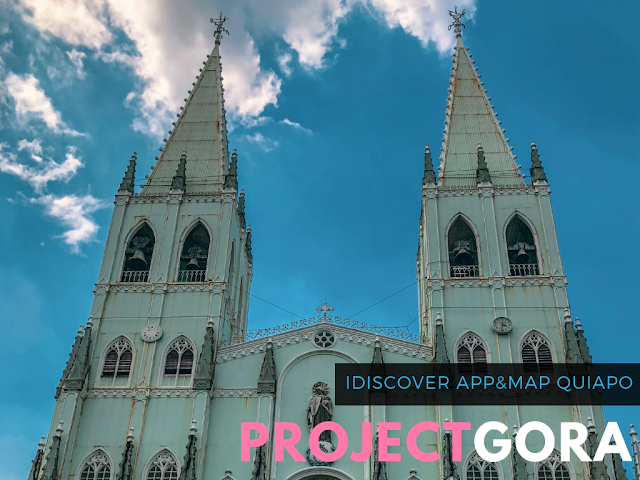 Download the iDiscover App&Map and follow their expert designed self-guided walking tour of Quiapo on foot. How about you? Have you explored Manila, specifically Quiapo, on a self-guided tour? Let's chat down below! Before we get into the meat of my review (pun intended), I want to let you all know that I am not a steak expert. While I do indulge in my inner meat lover once in a while, premium steaks are just way out of my reach because they’re crazy expensive. My review of Chateaubriand Premium Steak Restaurant will mostly be influenced by the premium meat I have tried in Japan and in the Philippines. Also, I won’t talk about fancy or seemingly high-brow terms about steak. Churrasco simply means barbecue or grilled meat in Spanish and Portuguese. It is a process of cooking meat seasoned with only salt over a wood burning fire. Believed to be started in the 1800s, the cowboys (gauchos) in Southern Brazil slowly cooked the meat in its own juices and passed around until everyone is full. 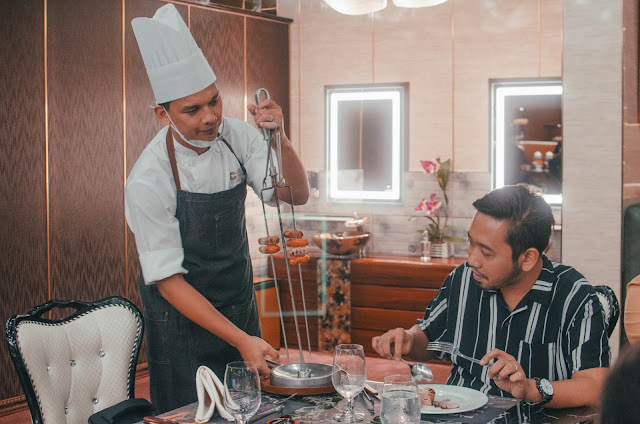 At Chateaubriand Premium Steak Restaurant, they kept the churrasco and gaucho traditions alive to allow Filipinos to experience this centuries-old dining style. 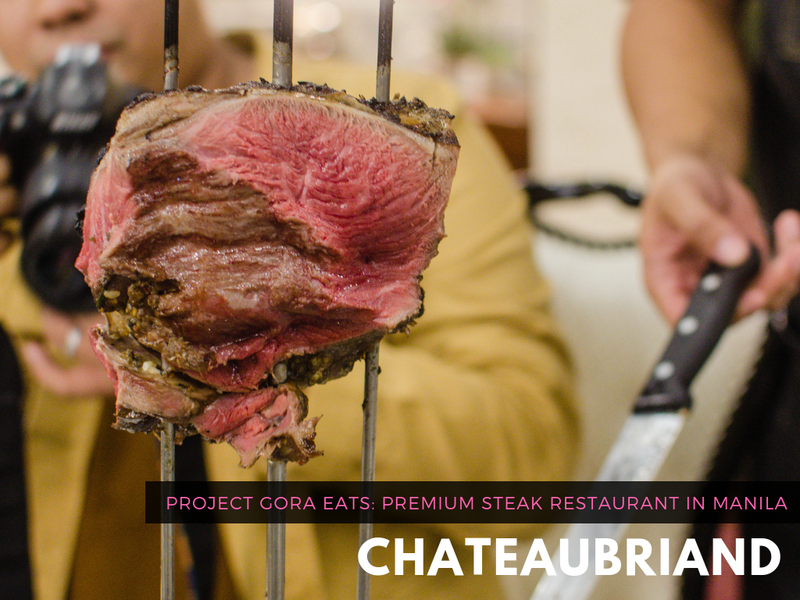 Chateaubriand Premium Steak Restaurant has a modern French dining ambience. 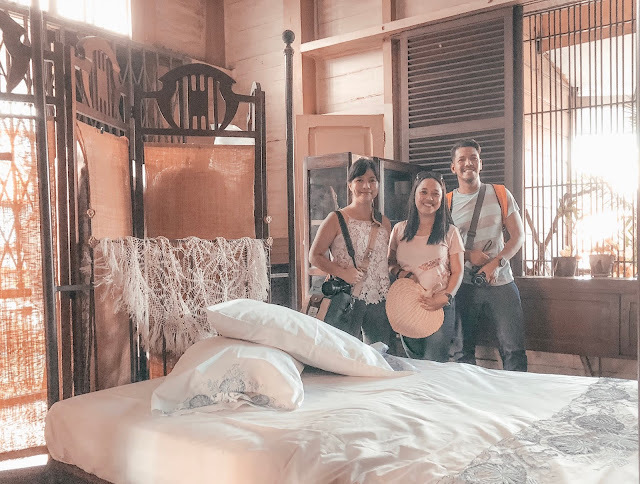 Entering the first floor opens up to a big room with luxurious chairs and tables, visually appealing decor and wall displays portraying France. Lavish chandeliers and fair amount of lighting created a pleasant atmosphere while not restraining our ability to see our food and each others faces. Although it was intimidating at the beginning, especially for casual diners like me, the interior of the restaurant made me feel special. While Churrasco or grilled meat is the highlight of Chateaubriand, you can't live on steak alone. 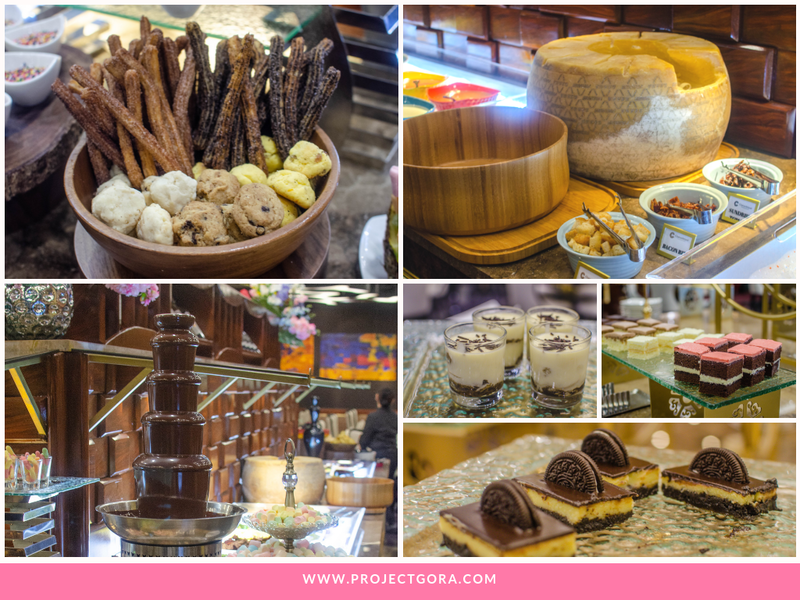 Aside from the premium meat, you will be treated with an abundant choices of vegetables and fruit salads, hot dishes, assorted cheeses, freshly baked bread, and deliciously house-made desserts. 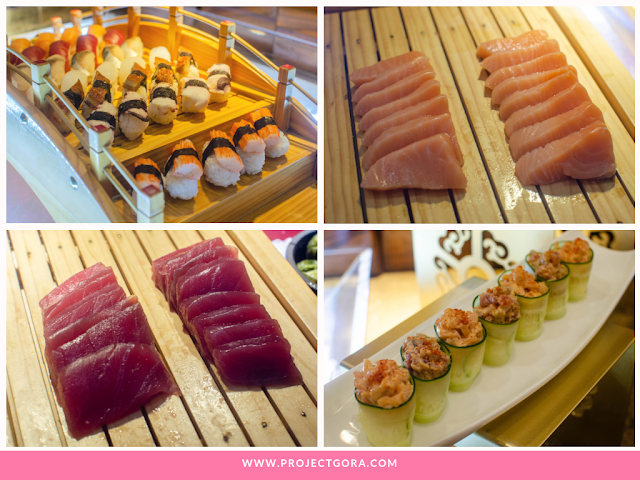 The items on the salad bar may be subject to changes based on availability but here’s a sample of what to look forward to: Salmon, Sushi, Tempura, Cold Cuts, Blue Cheese (my favorite), Feta Cheese, Parmesan Cheese, and many more. Delicious house-made desserts are aplenty if you would like to cleanse your palate. Wine will make the churrasco experience much better! 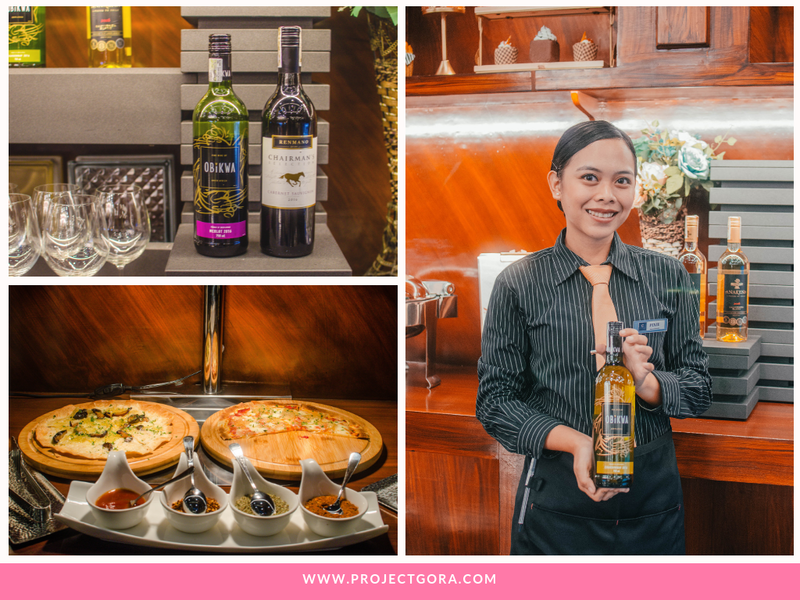 Just add 499 pesos to enjoy unlimited house wine! Do I recommend dining at Chateaubriand Premium Steak Restaurant? Definitely. But perhaps you should just stay away with it, because it will surely add to your growing list of food indulgences. The next time you have steak at a mediocre steakhouse, you may find yourself screaming at how pathetic they are in compared to the one’s served in Chateaubriand. 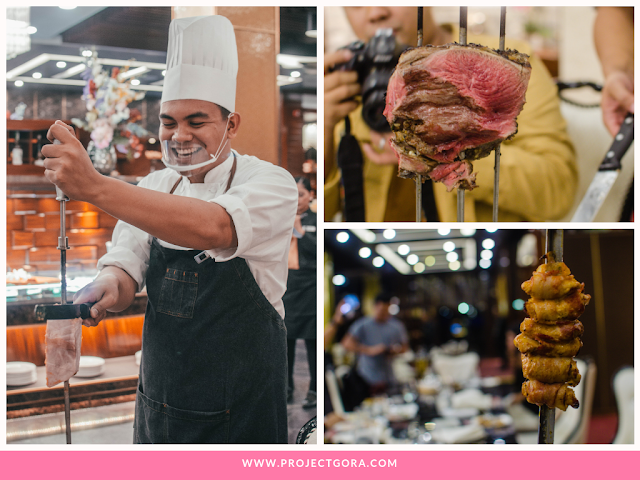 The whole Churrasco experience (with cheeses and wines) will definitely elevate your standards when it comes to fine dining. I enjoyed dining here and will surely come back for a second time! What’s included in the Unlimited Churrasco? How much is the Churrasco Experience? Life of high-end luxury was embraced by the powerful, wealthy and celebrities making the designer items scarce. Also, the price-tags made such designer items become a rare investment. The RealReal prides in being an icon leader in the market dealing with the resale of the global luxury items. The global luxury resale market has a tune of over 6 billion dollars. The Company has over the years become a paradigm by encouraging its shoppers to embrace the power of discounts on pre-owned goods. According to the high-end company dealing with consignment services all valued at 450 million dollars offer its clients a rare chance to sell their rare investment stuff at a given cut price. Over the years, this resells Company has consigned pieces of accessories, luxury clothing, and home goods valued at over 8 million. The luxury sale takes place via the company website, stores in Los Angeles and New York and on the pop-ups. With over 9 million members it has embraced the power of luxuries. In 2011, the RealReal Company began with the core aim of giving the rest of the world a piece of luxury and designer items at discounted prices. Rati Levesque works as the chief company merchant operating the San Francisco offices. Before joining the organization, Rati owned a vintage high-end boutique. Also, she studied economics. According to Levesque words as narrated by Jenni Avins the taste and power of luxury items is addictive. Once you taste its beauty, you want to return and get the next item on the luxury basket. For example, once you buy a Louis Vuitton, you appreciate the uniqueness of these rare, luxurious items. The process brings out the full life-cycle of luxuries that includes making well on the choice, purchase on the perfect price and resell for profit. And if the item becomes a fashion icon with no resell value, you should keep it as a rare investment for future resell. Remember luxury is performing super well with most individual embracing their items as future investment and not the frivolous purchases. The mindset of people has shifted to supporting the resell of luxury items with 80% of the consignors using the commission they earn from the resell to shop in the primary market. This resell company believes as merchant they have the power to educate people on the trending up luxury items, the trending down items and the best consign in the market. Additionally, they teach their members on things to keep for future resell. Collecting data on the real-time helps them to adjust their prices accordingly based on the luxury market demand and supply. The received data enables the company sales team to educate their consignors on the accepted percentage on their luxury items. An example includes the high demand for the Louis Vuitton bag and reselling it will earn the consignor a top dollar. The process of getting real-time prices involves looking at the history of the given item to determine if it is trending up or down. Also, the amount is determined by how long the luxurious piece has been stuck in the company inventory. The demand and supply for a specific luxurious item make the company keep updating the database on the real-time hence deciding on whether to lower the prices or keep it high. The RealReal has an RFID System that helps them to locate an item in their stores hence leveraging on its demand and sales.